Last month, we all got a good view of what the Metro update would look like, and for the most part it's pretty sleek. It ditches rows in favor of a single gridded box per category, which gives tiles of featured content that feels less cramped, making it easier to navigate the choices. They've also integrated the Kinect sensor into a fully functional hands-free remote, taking us one step closer to clicker-free television. 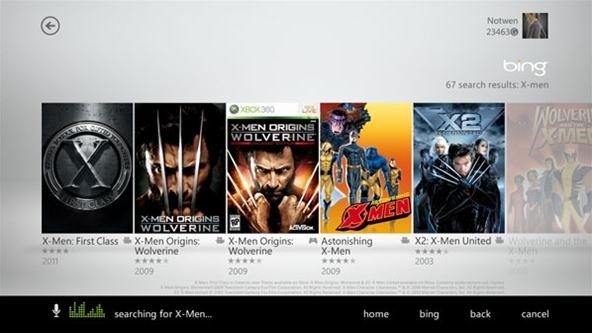 And now everyone can surf the web directly from their Xbox with the Bing search function. Microsoft continues to work on the Metro update for Xbox, and the latest sneak peak can be seen in a slightly blurry leaked video in French. 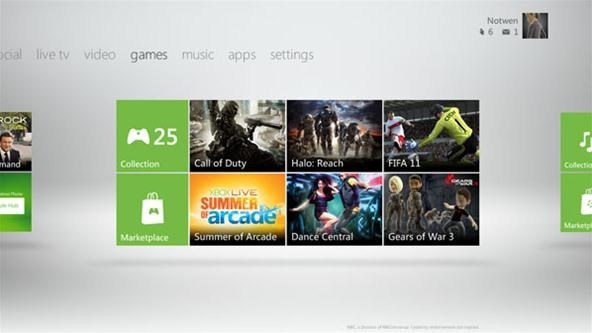 Though it's not in English, you can still get the picture, as it gives us a taste of the Xbox Live Marketplace, the Bing search page, and the new Metro UI. It's not the best of videos, but it does show you what to expect when the rumored November 15th update comes to consoles everywhere. I'm still wondering if Netflix will get a new look and functionality, because I find it quite difficult to navigate. 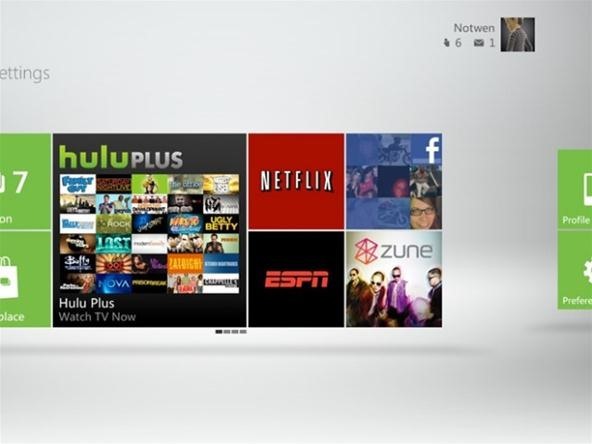 Maybe having the ability to search Netflix, Hulu Plus and Zune all at once with Bing is a good thing, but I doubt I'll ever get to taste the whole shebang, since I'll be cancelling my Netflix subscription soon.